A Song of Many Rivers is a short and simple read by the master storyteller, Ruskin Bond. Just a little over 100 pages, it is a collection of 12 essays, anecdotes and short stories whose central theme is rivers. Just like his other books, Owls in the Family, The Road to the Bazaar, The Laughing Skull, Delhi is Not Far, Roads to Mussoorie etc, this book too mostly talks of life in the hills. The central theme of this book is rivers and most of these rivers are the ones that originate in the northern part of India, in the scenic hills and mountains of Uttarakhand and Himachal. These rivers which originate in the upper reaches of the Himalayas are life givers and have been around for more than a thousand years. Along with their waters, they are also a source of folklore, legends and stories which themselves are more than centuries if not millenniums old. From Bhagirathi and Alaknanda to Mandakini and Suswa, Ruskin Bond quite beautifully captures the essence of these rivers and the people who thrive on its waters. Ruskin Bond’s writing style is rather simple and plain. He makes use of unique experiences rather than complicated words to create that magic in his writing. Most of the essays in A Song of Many Rivers revolve around walking and trekking experiences near these rivers. In these essays, he doesn’t stop at his trekking experiences but also goes ahead to give a little description of each place, its short history and its many peculiarities. He also writes stories about the people who live near and who depend on it. My favourite among them all was the initial chapter which lends its name to the book, A Song of Many Rivers. 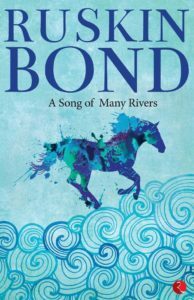 Ruskin Bond introduces the rivers to the reader in a way which makes them come alive to the reader. The river stops being a river, it becomes a person; a force to be reckoned; a goddess to be feared; a bounty to be worshipped; a lover to be loved; a child to be cared for. Another chapter which I enjoyed very much was the one titled Wilson’s Bridge which in addition to giving us a ghost story of his wife Gulabi also tells us a lot about the history of Wilson and his work in the Tehri region. In the end, I would definitely recommend A Song of Many Rivers to all short story/anthology/collection of essay lovers. It is a simple and easy read and is a perfect way to enjoy a lazy Sunday afternoon. As far as the entertainment quotient is concerned, it is not the most entertaining book from Ruskin Bond’s kitty but its surely worth spending one’s time and money on. The only thing that I did not enjoy in A Song of Many Rivers was that it’s a really short read. I would have loved it if the book were a little longer. I would have enjoyed Bond’s magic for a little longer then. 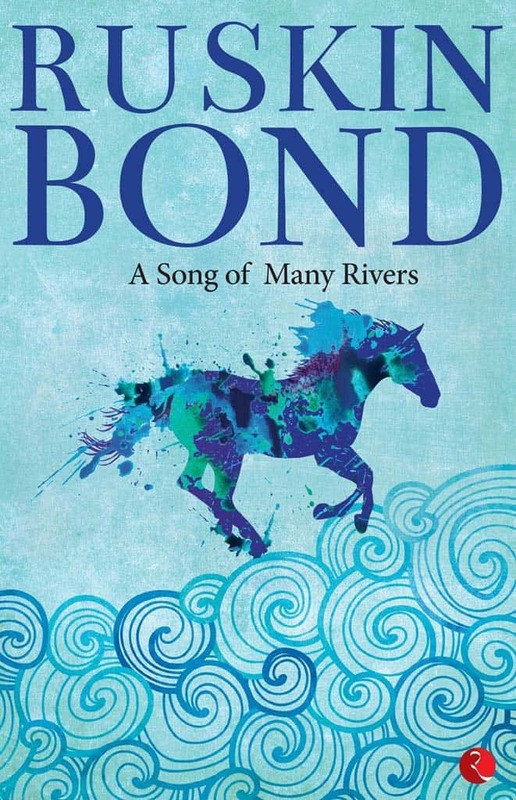 A Song of Many Rivers will appeal to you if you are already a Ruskin Bond fan. You may also pick this book if you are planning to visit the hills of Himachal and Uttarakhand because this book will help you paint a beautiful picture of the place in your mind before you go and also help you appreciate its cultural sensibilities. In short, you will be able to better understand the place that you are planning to visit. Can’t wait to read. Buy your copy using the link below.